In my latest article on Return of Kings, I discuss the thesis of French author René Guénon who believed that the West is currently in a Kali-Yuga, or Dark Age. In this post, I will flesh out Guénon’s thinking and suggest ways that we might go about restoring Western civilization. Guénon’s thesis developed as he compared the current state of Western civilization (he was writing in the 1920s) with the civilizations that preceded it as well as with contemporary Eastern cultures such as India, China, and Japan. What he found was that the nations of the West (Europe and North America) had almost completely departed from the traditional form of civilization that was everywhere present prior to 1789. In his book, The Crisis of the Modern World, Guénon discusses several differences between our modern culture and traditional culture. In this post, I’d like to focus on what is probably the most significant difference: the fact that traditional cultures are hierarchical. Traditional cultures are divided into classes or castes. The basic structure of society is tripartite with priests, warriors, and workers all fulfilling their roles in society. Movement between the classes is very difficult. French mythographer Georges Dumézil demonstrated that the tripartite structure was not just a medieval creation, but that it was a characteristic of all Indo-European civilizations. Historian Georges Duby, who was influenced by Dumézil, discusses how this tripartite structure worked in medieval society in his classic work The Three Orders: Feudal Society Imagined. Of course, most people are adamantly opposed to a hierarchically structured society. From the moment we start school, equality is drummed into our heads. We are proud of our classless society. That people thought any differently in the past is deemed proof of their ignorance. The past couple of decades have seen a huge increase in inequality in America… Thirty years ago the average real annual compensation of the top 100 chief executives was $1.3m: 39 times the pay of the average worker. Today it is $37.5m: over 1,000 times the pay of the average worker. In 2001 the top 1% of households earned 20% of all income and held 33.4% of all net worth. Americans have always been willing to accept this because we have been indoctrinated with the belief in social mobility. We are willing to accept the price of large gaps between the classes if we think that we could be the one of the lucky ones that moves into the upper class. Unfortunately, upward mobility is not as common as we are led to believe. A surname is just one branch in a vast family tree. And all the previous work on social mobility suggests that the status of a name would change in three or four generations. That’s what social mobility means — families move up, families move down. However, what Clark found was that the class position of your ancestors was a very good indicator of your position in society. In other words, social mobility happens, but not nearly as often as we have been lead to believe. This observation is not just limited to England. Following his discovery, Clark did the same research on Sweden, the United States, India, China, Japan and Chile. The result? And, even more astonishingly, the numbers were the same in the Middle Ages as they are today. Thus, we are already living in a class-based society. It is just that our classes are based on wealth instead of birth. Guénon argues that the traditional order of priests, warriors, and workers has been demolished in the West. This was done through the Enlightenment principle of equality, which was deliberately aimed at dismantling this hierarchical structure. One logical outcome of equality is that monarchy no longer makes sense as a form of government. After all, if all men are equal, a king should not have any more say than a peasant. This led to the adoption of democracy and the concept that authority flows from the will of the people. You can see this logic in operation in the American and French revolutions where a monarch was rejected in favor of democracy. The same logic holds in the case of the communist revolution in Russia. In the case of the American Revolution, the Founding Fathers were Enlightenment thinkers, but they had the wisdom to see that pure democracy could easily degenerate into mob rule. To this end, they put in numerous safeguards. The United States is a republic, not a pure democracy, because an elected representative should have a longer view than the individual voter. The Senate, in particular, was set up as a body to resist the whims of public opinion. Until the ratification of the Seventeenth Amendment in 1913, senators were not even elected by popular vote as a way to further protect them from a fickle populace. At first glance, it seems that Guénon’s criticism of democracy is unwarranted. After all, there is no question that equality and democracy worked well in the United States. However, recent events demonstrate that the democratic order is starting to fray. This comes from two sides. On the one side, corporations, unions, and other groups with lots of money have figured out how to game the system in their best interest. The end result is the subversion of democracy because the popular will of the voters is not nearly as important as the money that these organizations contribute to the reelection campaigns of politicians. This was the criticism leveled by the Occupy movement. The other problem that is sapping American democracy is voter ignorance. Around election time, it is common to see interviews with voters who have no clue about what they are voting for. How can their vote be considered a legitimate expression of the popular will? Guénon did not predict specific results of the West’s rejection of traditional principles, but he did indicate that Western civilization would find itself in a state of increasing chaos. It is unnecessary to go into detail on the litany of ills that are besetting Western civilization. A descent into barbarism. Guénon thought this might take the shape of a descent into primitivism, but it more likely would be a slide into totalitarianism. Subjugation or assimilation by a more traditional culture. This might already be underway with Islam rising in Europe. A restoration of traditional society by the adoption traditional principles. Guénon regarded the third option, restoration, as the one that was the most desirable for Western societies. Unlike many critics of modern society, Guénon didn’t just diagnose the problem, he also proposed some solutions. Everything there may be of value in the modern world [that is, the vestiges of traditional culture] has come to it from Christianity… for Christianity has brought with it the whole heritage of former traditions, has kept this heritage alive so far the state of things in the West made it possible, and still contains its latent possibilities. If the Western world had a sudden mass reconversion to Catholicism, Guénon reasoned, the rot in Western culture would be reversed. But Guénon didn’t think this was a likely possibility, and there is evidence that by the end of his life, he had given up hope for this option entirely. The second solution was the formation of a “spiritual elite.” This would be a group of men that had learned the principles and metaphysics of traditional civilization from some existing Eastern civilization such as India, and bring back this wisdom to the West. For Guénon, this spiritual elite would form the nucleus of a new priestly or Brahmin caste. Unfortunately, Guénon did not provide detailed instructions on how this would work. The other problem with this approach is that China, India, and Japan no longer have traditional civilizations. They’ve adopted the modern Western form. Despite these difficulties, I think a restoration of Western civilization is still possible. There are already signs that a renewal is underway. One of these signs is the nascent men’s movement. The concept of the “red pill” and the development of the neoreactionary movement are both indications that men are waking up and questioning the very foundations upon which modern civilization is built. There are also other signs that our current society is reaching the point of exhaustion. Things will be changing regardless of whether we like it or not. I’d rather act and influence the course of events than being passive and allowing others to steer the course. I hope my readers feel the same way. My purpose in writing Honor and Daring is to assist men who feel called to rebuild society. In order to make a positive difference, the builders of a new society will need to thrive in the present one while preparing for changes. Every article that you see on Honor and Daring is related to this goal. Found your site through RoK. I too am a Catholic lawyer. As a former Dominican friar, I developed a great appreciation for the Medieval age. The scholastic philosopher Etienne Gilson considered that period of history to be the height of civilization. I am inclined to concur. Glad you enjoyed the post. I envy the formation you must have received through the Dominicans! I believe one step in the right direction would be to revive the teaching of St. Thomas, but that doesn’t seen to be a popular opinion. This “kali” actually does not refer to the dark (kaal) goddess, Kali. But anyhow I’m always glad to see terminology from my spiritual tradition being mainstreamed. But it should be used accurately. There’s definitely a hinduization of the West taking place right now. The last few decades saw a buddhistization, now even that buddhism is becoming more hindu. Its promising to think values will change for the better, as I am actually witnessing in some pockets. Guenon would have approved if westerners were absorbing the metaphysics of the Vedanta with the purpose of renewing the tradition of the West. I don’t know any devout Hindus so I value any insight that you can bring from the Hindu tradition. Traditional cultures evolved in agrarian environments and that is where they thrive. In order for traditionalism to make a big comeback we have to become agrarians. Thanks for tackling this subject. I am also trying to bring this kind of Reactionary metaphysics to the broad ‘manosphere’ community. It answers a lot of questions. Thanks Mark. I really enjoyed your ROK article on “Why Modern Men Must Become Aristocrats Of The Soul,” and as soon as I get a blogroll up I will include your blog on it as well. 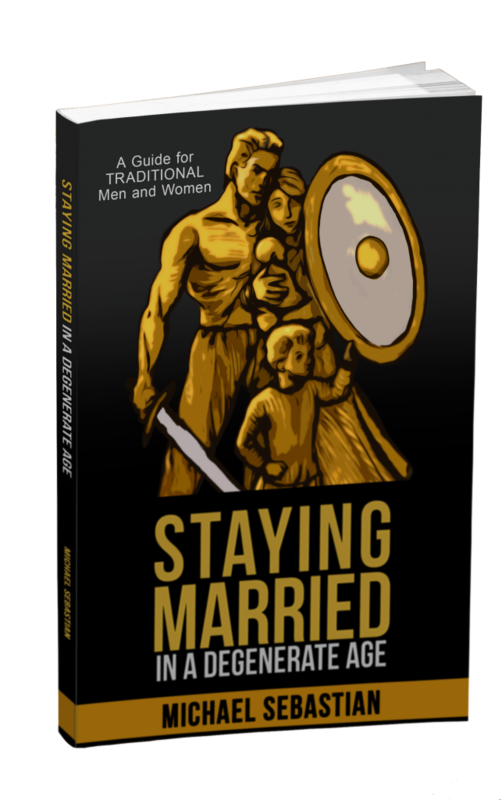 At the end of the day, I feel that our message will only resonate with a small subset of the “manosphere.” There is an element of destiny at work. The class of “Merchant” started to increase its importance during the Renaissance and early Enlightenment. This is the class that took over in the 18th Century. This is the class that we are supposed to aspire to in a liberal democracy. That explains why the modern world no longer argues in terms of right and wrong—only whether it is profitable or not.